H x W: 10 in. / 7 in. 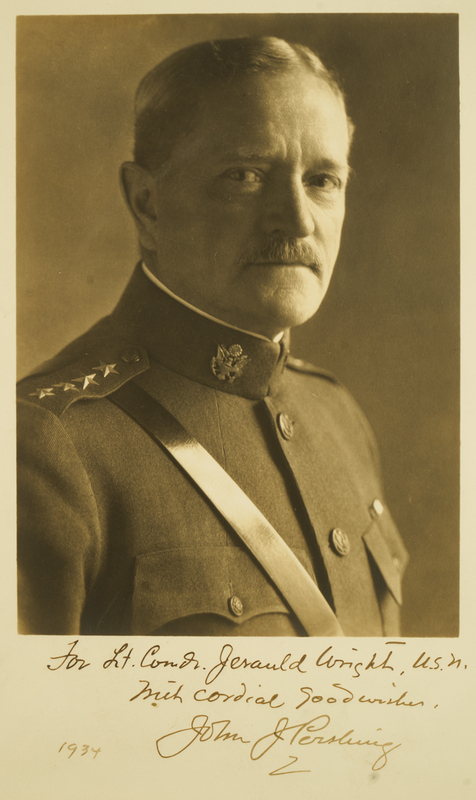 An autographed photo of General Pershing, which he dedicated in 1934 to then Lieutenant Commander Wright: “For Lt. Comd. Jerauld Wright, USA, with cordial good wishes, John Pershing, 1934.” It was presented to the Army and Navy Club in 2003 by Carlos Villarreal, then the Club’s President, to commemorate General Pershing and Admiral Wright, who was then-Lieutenant Villarreal’s fleet Commander during the Korean conflict.